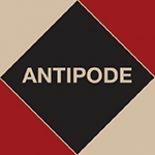 We plugged their anarchist geographies special issue last week, and this week we’ve another special issue of ACME – ‘The Politics of Climate Change‘, guest-edited by friend (and now neighbour) of Antipode, Cardiff University’s Kelvin Mason. And a special issue, ‘The “New” Carbon Economy‘ guest-edited by Emily Boyd, Maxwell Boykoff and Peter Newell. This entry was posted on 14 January 2013 by Antipode Editorial Office in Other and tagged ACME, climate change, climate justice, COP15, Copenhagen, Crisis, neoliberalism, new carbon economy, post-politics, protest, social movements, United Nations Climate Change Conference.